Before kids, I was the perfect parent! My list of perfection parenting (remember, I’m a list kind of gal), included everything my children and I would never do. I don’t know why I thought parenting was all about the “will nots” in life. On my list, under “I will never share my bed” (yep, we broke that rule on day one of the job), I wrote, “My children will never play with food”. Slowly, after Piper’s birth, my perfect list started looking more like the list of a highly confused mom. Scribbles here and there, black lines through sentences. Finally, at six months of age, “my children will never play with food” received the black scribble of death. Feeding a six month-old baby is all about hands, messes, and food! What was I thinking? I’m far from that “perfect” parent I once envisioned. Was the parent on my list really “perfect”? (Answer: No) My kids often run around in nothing more than undies until noon, we are past the baby phase yet they still “play” with food (have you ever baked with a two and four year-old? ), and they even watch movies from Disney (gasp!). So, today, in celebration of my once “perfect” list and the new life and freedom found in the black scribbles, we’re going to play with food, again. Last time we hung out we played with lemons, oats, and honey. Not only did we play with our food, we also smothered the ingredients all over our faces. List-breaking to the max. 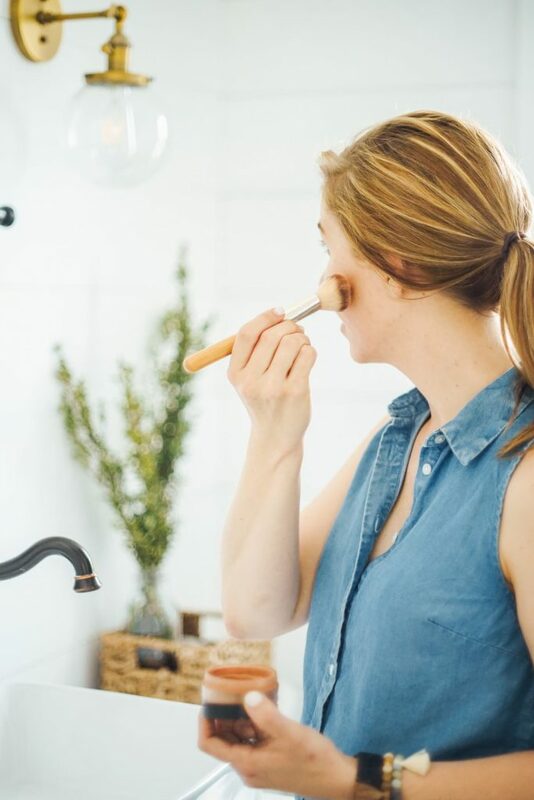 Today, we’re going a step further with three mud-slinging, food-playing masks that deep-clean, moisturize, and stop those blemishes from ever coming back. Each mask uses bentonite clay as the main ingredient. You may remember this clay from my favorite make-up bag essential, homemade foundation powder. I also use this clay to make my family’s homemade toothpaste. That’s some versatile clay! 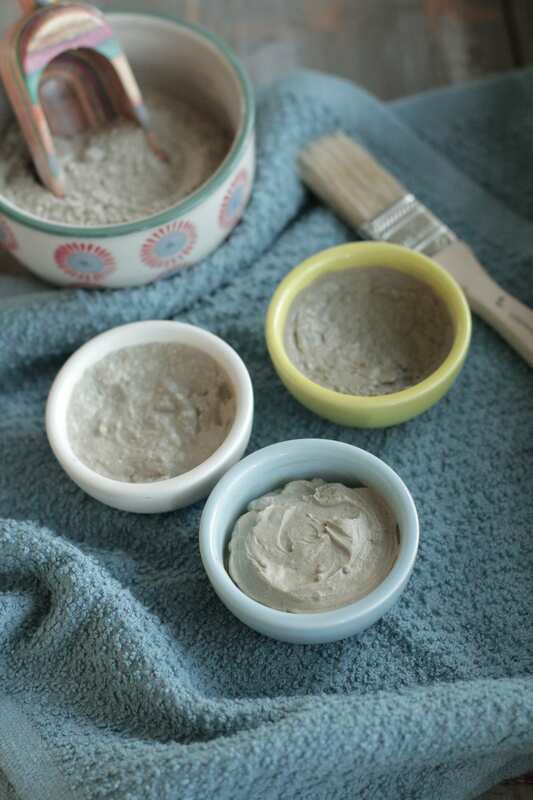 Bentonite clay pulls toxins, chemicals, and even heavy metals. The clay also helps provide oxygen to cells and has an alkalizing effect. Bentonite clay is rich in beneficial minerals such as: magnesium, silica, and calcium. When mixed together with healing and antibacterial ingredients, the clay creates a mask that can safely and effectively be used for maintaining healthy skin. Yogurt: helps exfoliate skin and tighten pores with naturally-occurring lactic acid. Yogurt also contains anti-bacterial and anti-fungal properties to help keep blemishes far away. Ready to play? Me too! 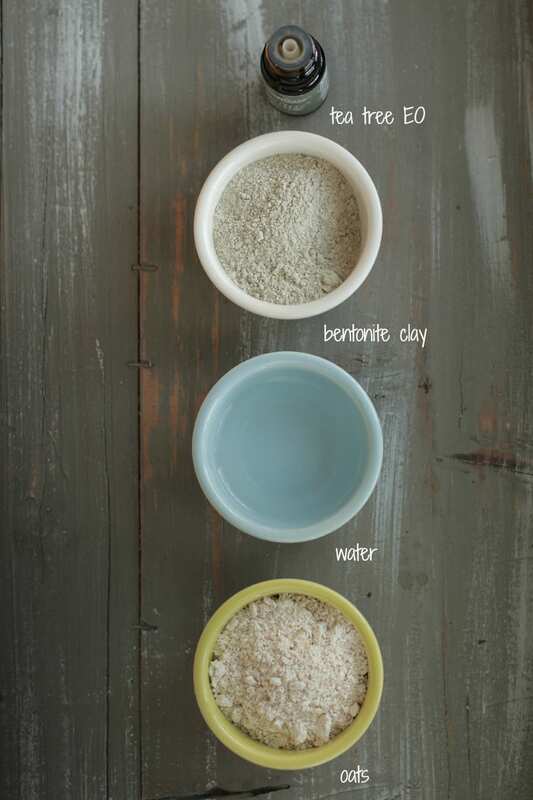 Combine the bentonite clay and oats in a small bowl. (Please do not use a metal utensil or bowl when working with bentonite clay.) Add in enough water to make a spreadable paste. Add 4 drops of tea tree oil and stir. Apply to the face for 10-15 minutes. To remove the mask, wash your face with warm water and a washcloth. *Note: To grind oats, place desired amount of oats in a spice grinder, blender, or food processor. Pulse oats until coarse and flour-like. 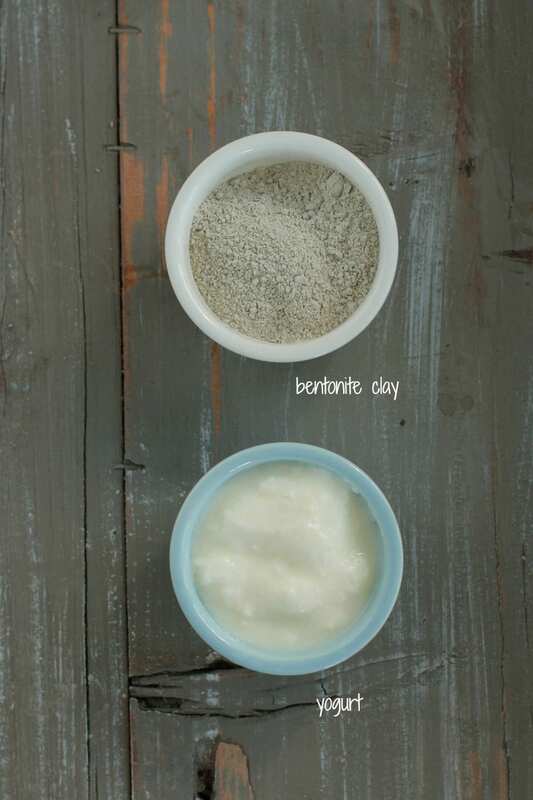 Combine the bentonite clay and yogurt. (Please do not use a metal utensil or bowl when working with bentonite clay.) Apply to the face for 10-15 minutes. To remove the mask, wash your face with warm water and a washcloth. 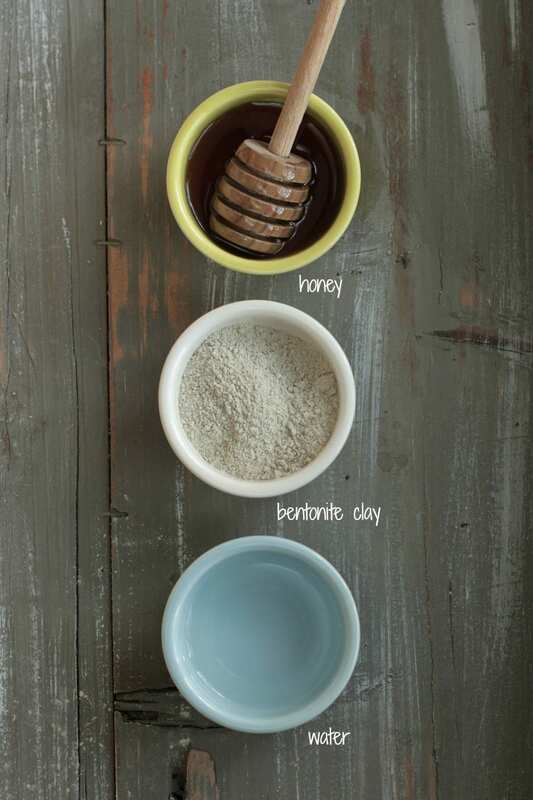 Combine the bentonite clay, honey, and water. (Please do not use a metal utensil or bowl when working with bentonite clay.) Apply to the face for 10-15 minutes. To remove the mask, wash your face with warm water and a washcloth. Hey Karin, You’re welcome :). Enjoy!! Thanks so much for the recipes. The bummer for me is every summer I get acne on my shoulders, making it impossible to wear sleeveless or strapless anything. I am giving the Tea Tree Oil mask a try tonight. I might have overlooked it in your post, did you mention how many times a week the masks should be used? Thanks again! So excited! Hey JoAnn, You’re welcome :). I’m sorry to hear about the acne coming around on your shoulders every summer. I apply the masks twice a week. 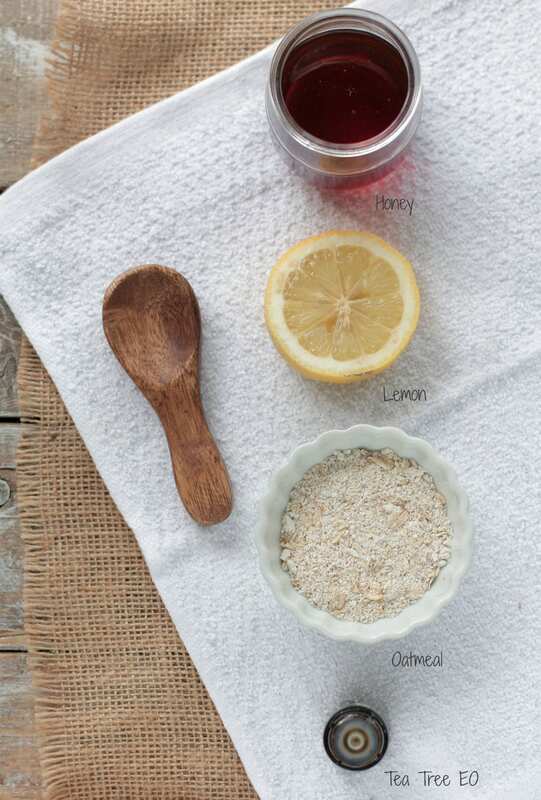 You may also want to check out my homemade astringent recipe: https://livesimply.me/2014/04/22/homemade-facial-astringent/. It’s fabulous for fighting acne. You can add a few drops of tea tree and lavender to the astringent to help fight-off blemishes. Thank you so much, Nadia! I love the yogurt mask, it’s really refreshing. Enjoy! Great stuff!!! I’m thinking of giving little pre-made jars of the mask recipes as gifts… have you played with shelf longevity if pre-mixed? Hey Kristin, I’m not sure the clay masks would last very long once “wet.” You could give each person a little spa basket with the ingredients to make their own masks and recipe cards? That would be fun and personal. Hi, I tried the first recipe and I really liked it… Question I tried the yougurt one next but it did not warm up like the first one did… Is it really like that? Plus there’s a tub of bentonite clay that has been laying around our house for like couple of years now, how do I know if it still good enough to use? Is there an expiration on bentonite clay? Hey KC, I’m not sure what you mean by “warm up” like the first one? The yogurt mask will be cold due to the yogurt. The bentonite clay should still be good, even after a couple of years. Not at all, KC ;). I’m glad the explanation helped. Wonderful recipes! Can’t wait to try them,but I was wondering if I have to grind the oats or can I leave them whole? Hey Virginia, Thank you. You can do either- grinding or leaving the oats whole. The only difference will be the texture of the mask. Hey einne, There are several great options. Redmond Clay and Aztec are my favorites. Just did the honey mask tonight and my face feels amazing! Can’t wait to share with my friends. If the honey is a bit solid should I just place it in a hot water bath to liquify it? Hey Lindsey, When my honey solidifies I just place a small container in hot water and it usually “melts” within a few minutes. 🙂 That should do the trick! Hi! First off, I am such a fan of your blog! You inspired me to make my own beauty products and I hope I can be as awesome of a natural mom as you one day! I don’t have bentonite clay, but I do have french green clay (which I read is really good for acne)..can I use this instead? Thanks!! Thank you so much, Cady! I’m so glad you’re enjoying Live Simply! I’ll just have to try it out then and let you know the results 😀 thanks again! I recently started experimenting with making my own clay mask. So far, I’ve only tried clay and water with nothing else. I’ve run into 1 annoying issue though, the mask dries extremely quickly and the powder clay starts coming off whenever I move around. I love how the mask makes my face feels but I’m left with clay powder everywhere on my clothes and in my apartment lol. Is there anything I can add to the mask to act as a binding agent so the clay will stay on my face? Hey Eve, I had the same issue with the clay. I noticed the Redmond Clay Facial Mud (the pre-mixed mask sold in a tube) was very “wet” vs. dry like my homemade masks. My solution was to add more moisture to the clay (water/yogurt, etc.). The addition really helped my homemade masks stick to my face even after drying out. This is my first attempt of using a clay mask and I feel like I don’t know the basic steps or methods. Like what do I do first, after the clay mask, e.t.c . Like what routine do you use? Hey Honey Nguyen, Mix the ingredients together (per the recipes above), then apply the clay mask to your face and allow it rest for 5-15 minutes. Once it’s hard on your face and the time has passed, simply wash your face with water and pat with a washcloth. Enjoy! I love the tea tree mask recipe- thank you so much for sharing it! I think the oatmeal really soothed the usual irritated feeling I get with a benny mask. The tea tree oil seemed to work good on my pores, but didn’t sting or make my eyes water like acv normally does. I have only used it once, how often would you recommend using it? Thanks for sharing it, but would you let me know how long could I keep the mask for? If I want to save it. Hey Heather, The mask will only last a few days in the fridge. I am definately trying the tea tree mask tonight! I never realized how easy it is to make my own natural masks! I’m curious, how do you get the teatree mask to a nice spreadable consistency? Is there a trick to mixing it? Even though I ground the oats and added a little extra water it still came out lumpy and when I put it on my face I looked like the swamp monster. On the plus side I did get to scare my husband when he came back from his run. Hey C, If the mask gets too thick, you can add a bit of water until you reach the desired consistency. Lol, my husband is always scared by my mask routine–too funny! I am new to the face mask making and am wondering if there is a preservative you recommend. I am starting up my own line of all natural body products and would like to be able to sell a pre made benny face mask but I’ve read the clay isn’t as powerful days later than it is when the face mask is freshly mixed? 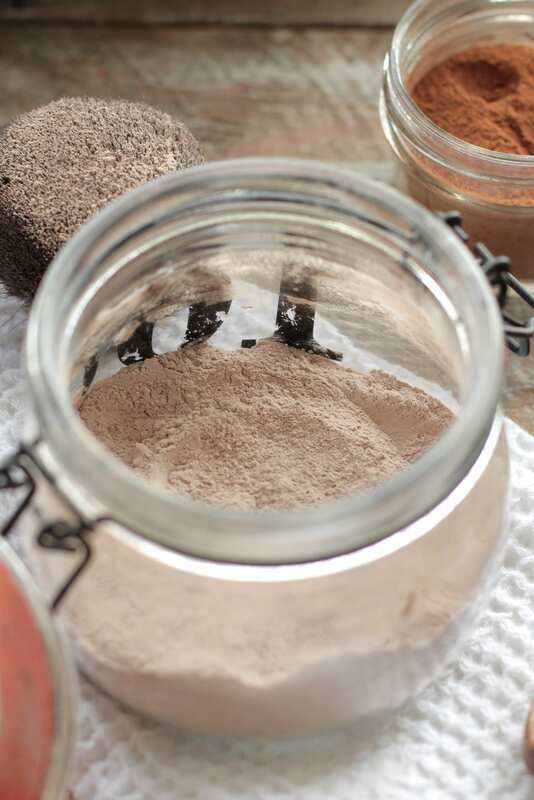 would you suggest a preservative or do you think creating a powder mix of the clay and sending that home with some instructions on how to mix the ingredients? Thanks! Hey Jaz, For a more commercial purpose (selling a product), you’d definitely need some sort of preservative, especially since the ingredient mixed with the clay is probably water. I personally think creating a powder mix and sending that home with the mixing instructions is the best option. Hey, I have the Indian Aztec Clay that says it expired on November 2015. Can I still use it or should I toss it out? Hey Rayna, I’m not sure. I recommend contacting the company about this issue. No sooner did I read this article was I out the door & headed to my neighborhood supermarket (luckily I live in an area in Brooklyn where everything is organic, gluten free, etc so the supermarket that’s 2 blocks away has all that good stuff). I picked up a cup of organic Greek yogurt (full fat for added moisturization since I have dry skin) then ran back home to mix it with my Aztec Secret clay powder. Since I turned 40 last summer I had an epiphany in reference to my health & skincare. I was horrified when I really started to read labels & looked into what these sometimes toxic ingredients are doing to me. 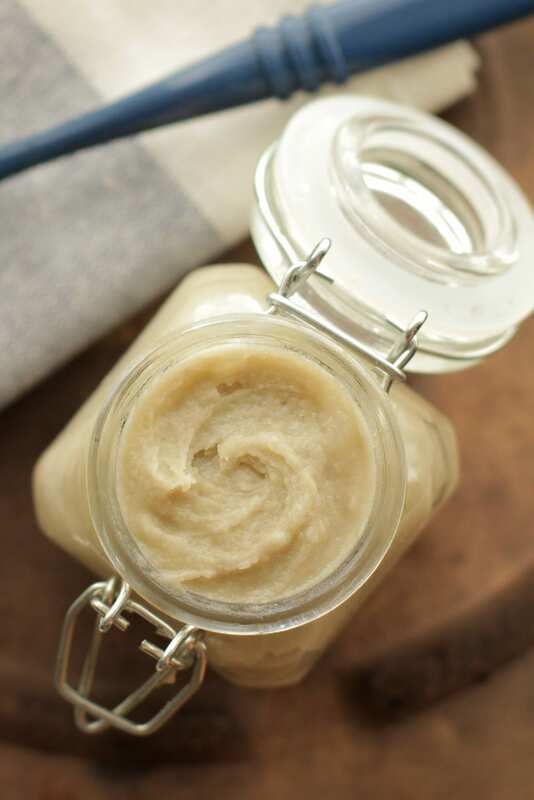 Now I’m exploring the wonderful world of DIY skincare & beauty while detoxing myself from 40 years of unhealthy living (my sons actually started doing this way before I did. My oldest is studying to be a physical therapist & nutritionist while my 16 yr old is planning on becoming an anesthesiologist but they’re both gym rats & have been trying to get me to make a change for years now. Needless to say they are pleased.). Anyhoo, I mixed up 2 teaspoons of Greek yogurt to 2 teaspoons of Aztec Secret & boy was it thick! I had to thin it down with water but it worked beautifully! My skin was a bit red after rinsing it off but I applied a thick layer of aloe vera gel that I keep in the fridge & it cut the redness down a good 80%. The next morning my skin looked incredible! So fresh, clean & glowy! So excited to try the rest of your face mask recipes! Hey Freya, Thank you for sharing! I’m so excited for you and the changes you’re making. I’m so glad you enjoyed the face mask. I am interested in making some clay masks. Can I mix them ahead of time and store them or do they need to be made fresh each time? Hey Inka, It’s best to make the masks fresh each time. The clay will dry when prepared in advance and stored. I have mild acne and some red and dark spots which fighting acne mask should i choose? I would go with this one: https://livesimply.me/2016/08/19/soothing-clay-mask-for-stubborn-breakouts-and-scars/. Thoughts on what type of yogurt to use? Plain VS Greek? Does it matter much? Hey Noel, It doesn’t matter as long as the yogurt contains the naturally-occurring probiotics–that’s what really helps :). Hi Kristin ! loved your post cant wait to try ! Can you tell me how long is the shelf life? I feel like gifting it to my dear one, how long she can use this ? should we add any other oils or anything to have a good shelf life ? Or these mask is only for one time use? Hi! What do you recommend for the pores right under your eyes? Mine are clogged. I have had little success with exfoliating . Have used sugar scrubs, etc. Thanks!! Hey Deborah, I’m not really sure. Maybe this mask: https://livesimply.me/2016/08/19/soothing-clay-mask-for-stubborn-breakouts-and-scars/? It’s really soothing, plus honey and aloe are amazing for breakouts/clogged pores. Or this mask: https://livesimply.me/2016/04/23/soothing-cleansing-face-mask/. Great clay masks recipes, Kristin. My friends suggest me to try this kind of masks for my face. But I have not that much confident on that so I neglect their suggestions. Now, I thought why not to use it?.Yes, I decided to do that. Thank you for making me confident in using clay masks. You mentioned a few times not to use metal when working with Bentonite Clay. Why is that? Hey Jordan, I’d just apply fresh aloe vera to the areas. Sounds like such a great alternative to the pricey, store bought creams! These are great recipes! I am currently trying the oatmeal & tea tree oil mask.. and I’m thinking maybe this would work good for hair as well? Would you recommend this on hair? 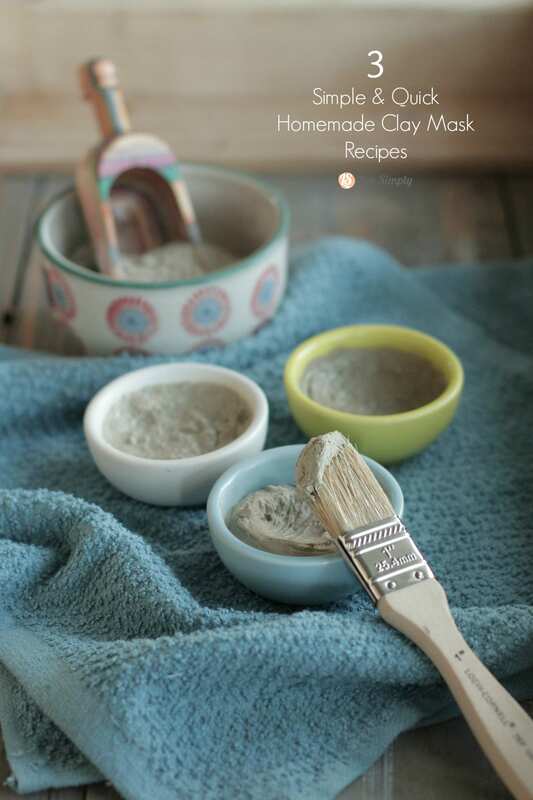 Hi, can I substitute the bentonite clay with kaolin clay? Hey Siam, Yes, you can. You’ll need to use more clay since bentonite absorbs so much of the liquid.